2) A great post on the ethics of trading for third parties. (HT: Tyler) It's hard to excerpt. He walks through a series of days where a client asks you to buy oranges at the market price. 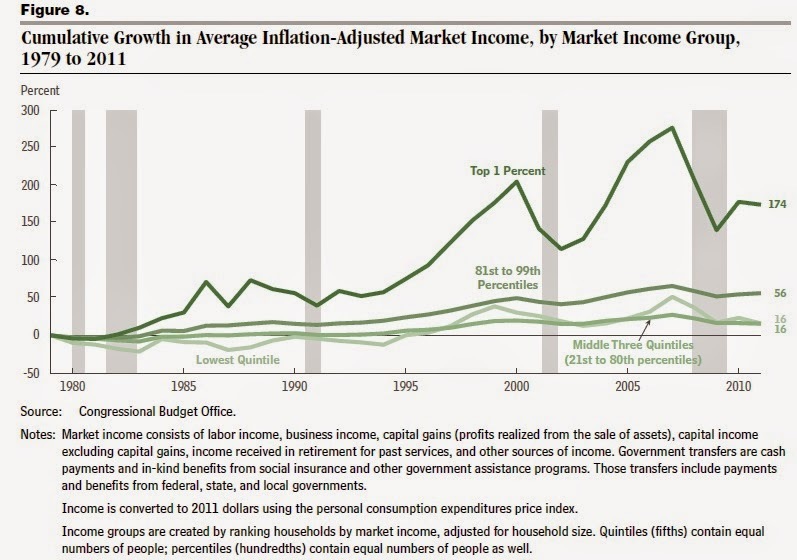 3) Timothy Taylor has some interesting figures on incomes. Here is a table he posts. 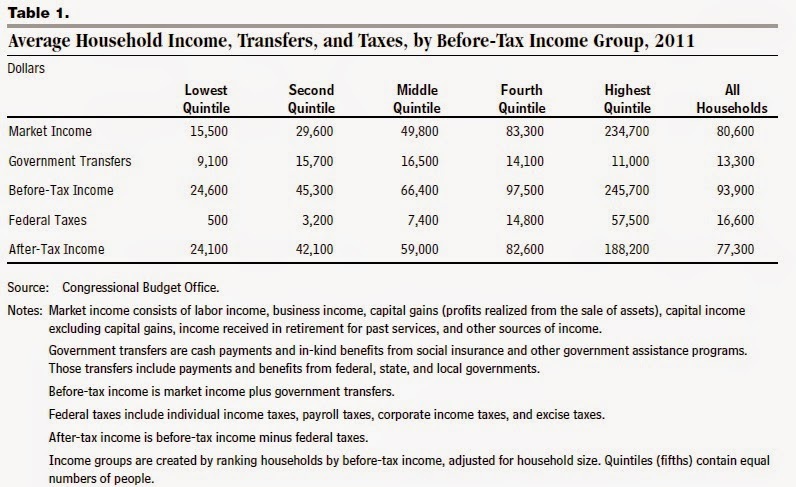 As he points out, much of the difference between the lowest quintile and the second quintile is that the second quintile gets more government transfers. (In fact, the middle quintile gets the most transfers. )This points to one of the difficulties of using these numbers to arrive at summaries of income distribution. Many of the lowest quintile households are retired, students, or are households with very volatile incomes. The second quintile might, in some ways, be more indicative of marginally working class households. Here is a graph I did that shows the make-up of different income levels by age. While the bottom quintile certainly contains some of the most vulnerable families, statistically it seems that some work would need to be done to separate the single young male living with his parents because he is an unemployed construction worker from the 85 year old widow in the nursing home and the grad student who will start making $150,000 when they are in their 30s. Here is a graph from Taylor. There are a number of narratives we could build here. 1) The incomes of the 1% have outpaced everyone else. 2) The incomes of the top 1% and the bottom 20% are highly correlated. 3) All the gains since 2009 have gone to the top 1%. I do wonder, though, if that correlation between the top and bottom is a product of the unsystematic nature of the residents of the bottom quintile at any given time. Maybe the correlation is a product of the temporary movements into and out of the quintile from households with volatile incomes. Yes, after government involvement, the lower quintiles do better. Is this a surprise? The top 1% is raking in the bucks. I still say the "solution' is consumption taxes.